As the result of a generous gift from Toni Stabile, we are pleased to announce that nearly 11,000 items (10,967, to be exact) from four different collections were digitized. Ms. Stabile’s donation was directed towards scanning collections by women journalists and the AHC’s Digital Programs Department recently completed this targeted digitization project. The Digital Programs Department digitized selections from the Betsy Talbot Blackwell papers, the Grace Robinson papers, the Irene Kuhn papers, and the Toni Stabile papers. Betsy Talbot Blackwell (1905-1985) was an editor for several women’s fashion magazines. She was an assistant fashion editor at Charm magazine from 1923-1928 before becoming fashion editor at Mademoiselle magazine from its inception in 1935 and then editor-in-chief from 1937-1971. As an editor at Mademoiselle, Blackwell led and changed the industry by altering the magazine’s focus to that of the young career woman. She was also responsible for including a literary aspect in the magazine, publishing the works of authors such as Eudora Welty, Truman Capote, William Faulkner, and Joyce Carol Oates, among others. Her collection contains materials relating to Blackwell’s career as editor for Mademoiselle magazine including extensive subject files and correspondence regarding editorial policy, advertising, public relations, circulation, format, fashion news, her “Editor’s Memo” column, speeches, and scrapbook material. 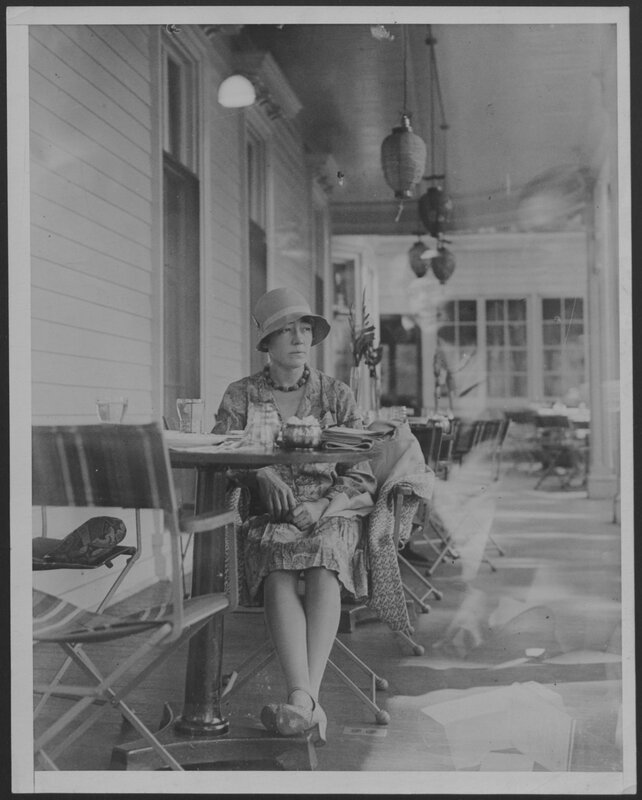 Grace Robinson enjoying a cool beverage and reading a paper on a cafe’s veranda. Grace Robinson Papers, # 06941, Box 103, Folder 1. Grace Robinson was a nationally known woman journalist. She became a staff writer at the New York Daily News in 1922 and became a well-known crime writer, covering the infamous Hall-Mills Murder Trial in 1926 and the Snyder-Gray Murder Trial a year later. Starting in 1933, Robinson covered both President Franklin and Eleanor Roosevelt and was a member of Mrs. Roosevelt’s “hen press.” She later covered many of the notorious criminal cases of the 1930s, including the Charles Lindbergh, Jr. Murder Case, including the trial, appeal, and subsequent execution of accused murderer Bruno Hauptmann. Click here for an online inventory for this collection. Irene Kuhn was a journalist with career that spanned continents. Her career started in 1919, and throughout the 1920s, she reported from locales as far-flung as Paris, Shanghai, and Hawaii. Irene Kuhn Papers, # 8536, Box 26, Folder 6. In 1926, she moved to New York City where she was a feature writer for “The Daily News.” In 1939, Kuhn wrote her memoirs, Assigned to Adventure. 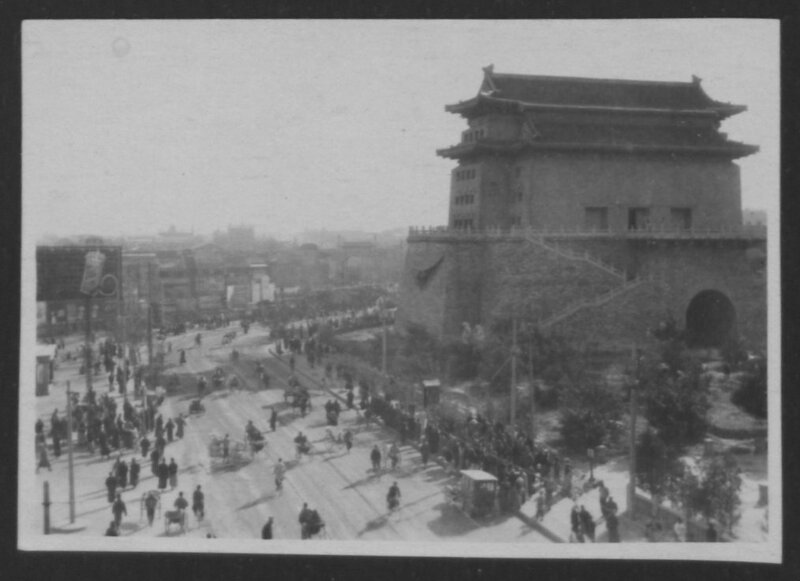 Kuhn worked for NBC from 1940 to1949 as a war correspondent in the China-Burma-India Theater. This collection documents Irene Kuhn’s work as a writer, journalist, and radio show host. Writings include magazine and newspaper articles, drafts of books and articles, and typed manuscripts. There are typescripts and audio recordings of Kuhn’s radio programs. Other materials related to her work include awards, date books, field research notebooks, and correspondence. In addition, there are several photographs and slides documenting Kuhn’s work and personal life. Take a look at some selections from the collection! A letter from one of Ms. Stabile’s fans, seeking information about hair color. Toni Stabile Papers, #10050, Box 42, Folder 4. Toni Stabile is the author of three books, a free-lance writer, and an investigative journalist. She is a well-known advocate of cosmetic safety, and has been dubbed “the Ralph Nader of the cosmetics industry”. Her book, Cosmetics: Trick or Treat? (1966) prompted the first congressional hearings on cosmetic safety in over 20 years. It and the updated editions, Cosmetics: The Great American Skin Game (1973, 1979), paved the way for cosmetic ingredient listing on labels and inspired regulatory and industry reforms. 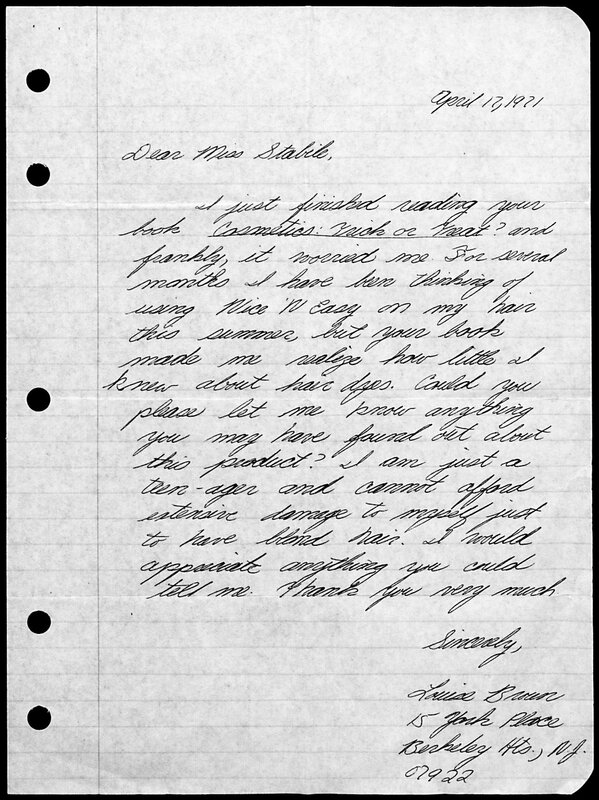 The Toni Stabile papers include correspondence, drafts of manuscripts, research and promotional material for her books, annotated copies of her books, published articles, documents related to a lawsuit, and audio/visual materials. The collection provides evidence of the failure of both the cosmetic industry and the government agencies charged with consumer protection to safeguard the consumer from products containing hazardous and potentially harmful substances. This entry was posted in Digital collections, women's history. Bookmark the permalink.